Loudwire recently premiered the first single, "Peace of Mind" by Blizzard from 1973 HERE. (Direct YouTube.) "The Sorcerer" from Pegasus dropped last month on YouTube HERE. What Youth Magazine recently shared "You Haul" by C.T. Pilferhogg HERE. On their debut record, SOM "craft songs of epic melancholy that stagger the ears as well as the heart" (Onion AV Club) and "serenely slowdive into shoegaze" (SPIN). 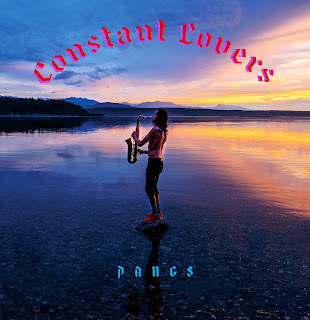 Drummer Duncan Rich and bassist Justin Forrest build thunderous rhythms that give drive and pulse to the fuzzed out wall-of-synth-and-guitar-noise. 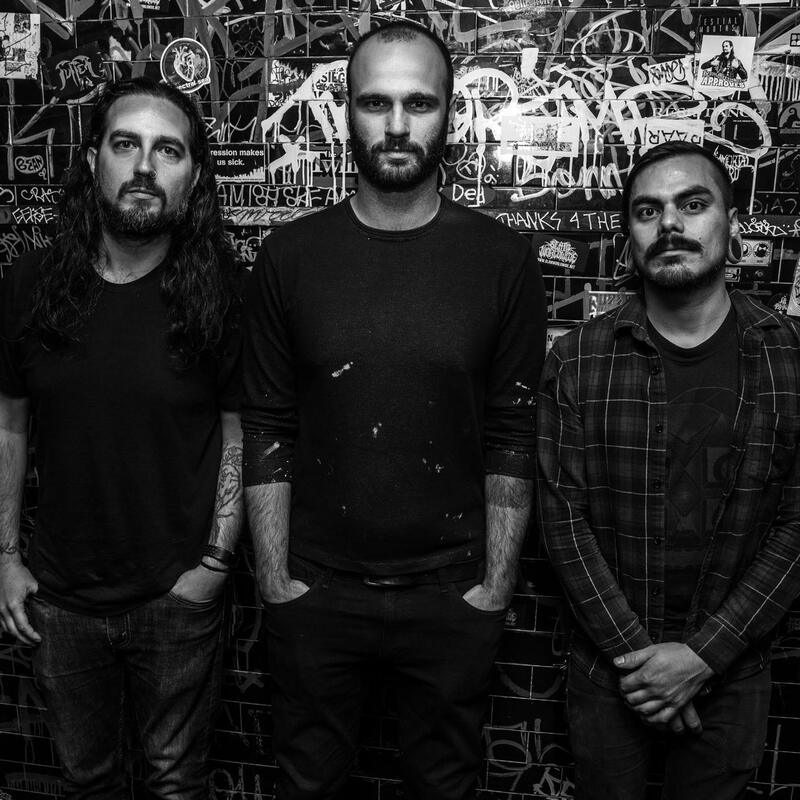 Dark and heavy throughout, their music is complemented by memorable hooks and melodies in singer/guitarist Will Benoit's somber, lamenting vocals. Featuring founding members of seminal Boston space rockers Constants -- and former and touring members of Adai, Junius, Rosetta, and Caspian -- SOM wrote and recorded their debut album at Benoit's solar powered The Radar Studio, along with engineer Daryl Rabidoux (Doomsday Student, Drowningman). The Fall will be available on CD, cassette and download on November 9th, 2018. Pre-orders are available via Bandcamp HERE. Ghost Cult Magazine recently premiered "It's Electric" HERE. The Obelisk shared "Meow Meow Meow" HERE. And, Heavy Blog is Heavy hosted "You Are Dinner" HERE. 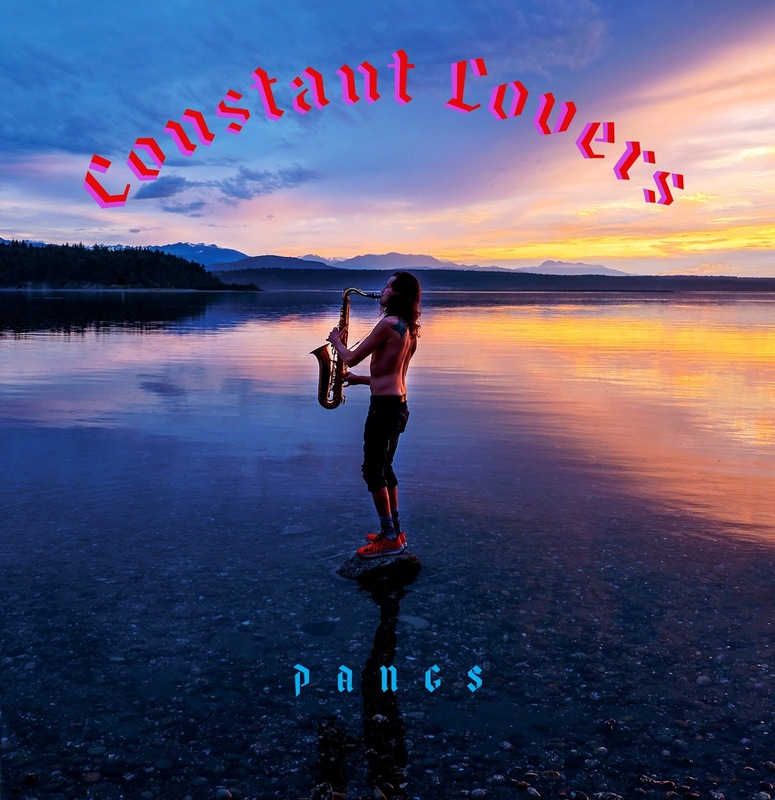 Constant Lovers will play a special hometown album release show on November 3rd at Barboza in Seattle. Tickets and info HERE. The band kick off a quick midwestern tour next week with a hometown show. Please see all dates below. After the ending of his Carl Sagan's Skate Shoes, Exhalants guitarist/vocalist Steve (the band prefers to be on a first-name only basis with you) further honed his already wide guitar vocabulary in the downtime. He soon recruited fellow CSSS alum Bill on bass and Tommy, the drummer in Body Pressure (known for his high-energy, hard-hitting precision) to form the power trio before you now. Unwound and Cherubs while extrapolating and building on those legacies into their own along with likeminded peers like Melkbelly, Kal Marks and A Dear A Horse. 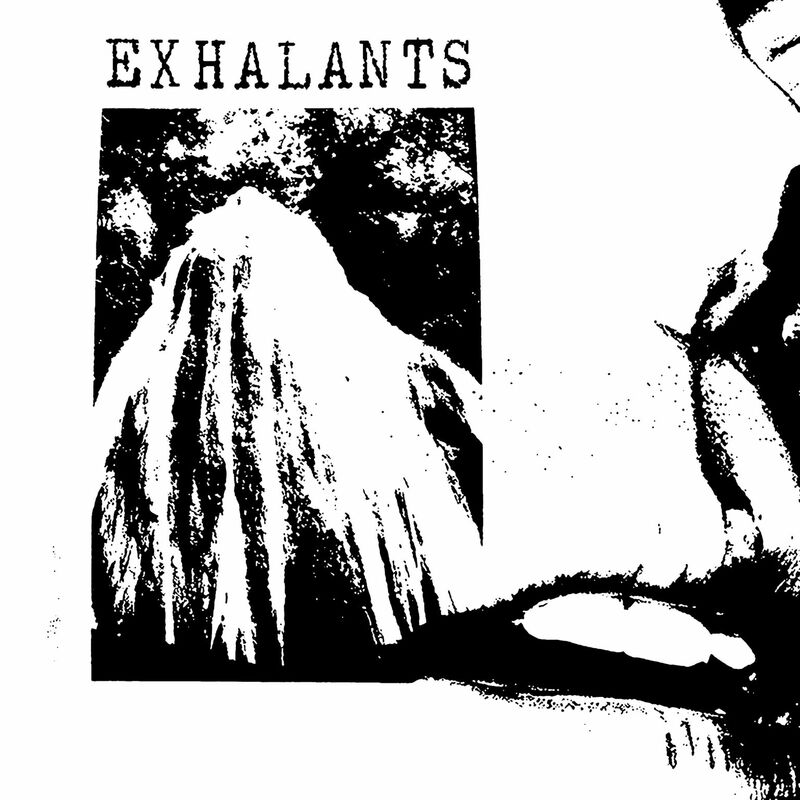 Recorded & mixed by Ian Rundell (Ghetto Ghouls) in Austin TX and mastered by Greg Obis (Yeesh) at Chicago Mastering Service, Exhalants is a refreshing return to dynamic complexity in a field obsessed with monolithic pummeling. Exhalants is available on LP and download, released August 24th, 2018 via Self Sabotage Records (Pre-order at Big Cartel-Self Sabotage). Metal Injection recently shared the title track "Slave To The Grave" HERE. Brooklyn Vegan hosted the dark epic "N.W. 588" HERE. Alastor hearken to the days when heavy rock was the music of the rebel, the occult adherent and lurker in the shadows, not hipster bros. Theirs is the doom sound for those who discovered it on the edge of town, in the cold rain, perhaps, as an escape from the squares who'll never understand. Alastor is heavy doom rock for the wicked and depraved. 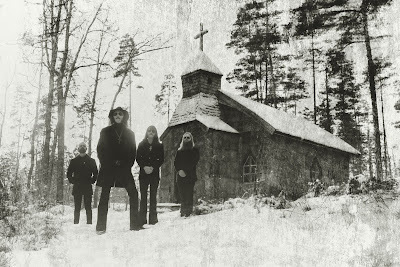 Drenched in heavy, distorted darkness and steeped in occult horror that will make your skin crawl and ears cry sweet tears of blood, Slave To The Grave pulls no punches in the Swedish band's unabashedly bleak themes. 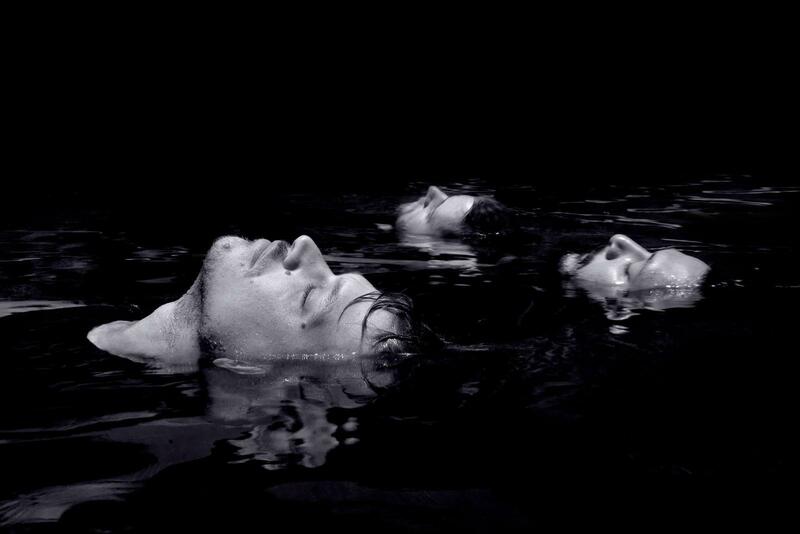 "It's an album that circles around the concept of death," explains lead guitarist Lucy Ferian. "It's about death in both its spiritual and personal meaning -- how death is a part of our everyday life. How it affects our thoughts and actions. How some of us spend our entire life in fear of death, while some seek it. But no matter how you live your life and no matter what you achieve here on this earth. You are still just a slave to the grave." The quartet released its epic 3-song debut album Black Magic in early 2017 via Twin Earth Records, followed by the 2-track "Blood On Satan's Claw" EP on Halloween the same year. 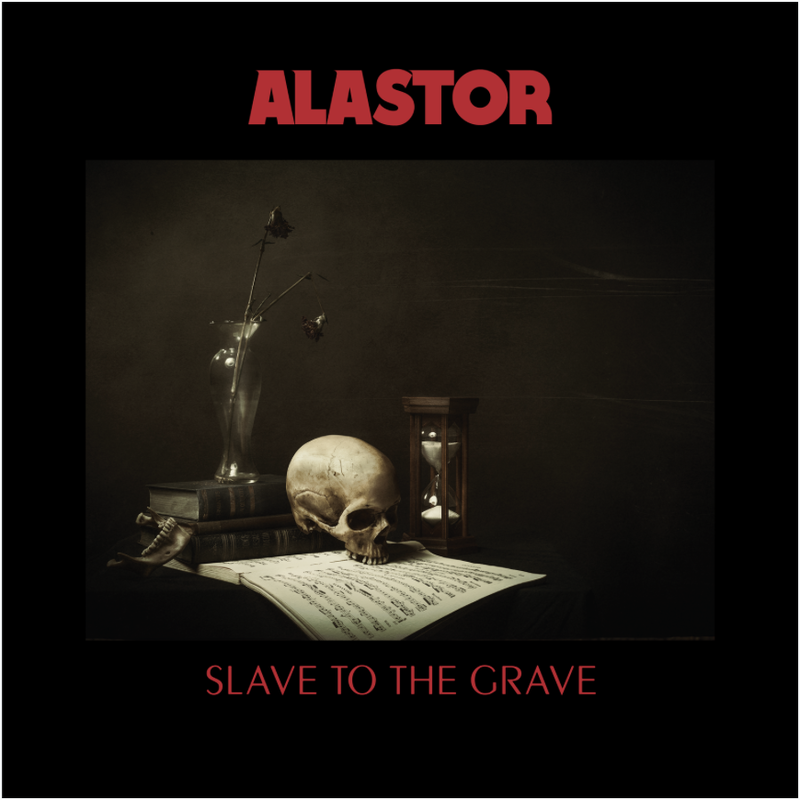 Joining forces with RidingEasy Records in 2018, Alastor hunkered down to summon the 7-track hateful gospel Slave To The Grave with engineer Magnus Sörensen. The album opens with the dramatic spoken intro "I döden är vi alla lika" (In death we are all equal) backed by rolling thunder and a clanging church bell to set the stage for the rumbling dirge "Your Lives Are Worthless." Forlorn vocals and drop-tuned guitars seep like murky syrup as the song slowly morphs through varying riffs across the nearly 10-minute song as it builds to an epic crescendo of squealing guitar notes and pummeling half-tempo drums. "Drawn To The Abyss" is a swinging anthem punctuated by haunting backing vocals and scraping wah-wah guitar sounds leading into a powerful double-time outro. "N.W. 588" is the hook-laden melodic centerpiece sounding like an apparent nod to Technical Ecstasy leading into the flamenco-themed acoustic ballad "Gone." The anthemic album title track rings out with pliant lead guitar notes countering the dark lyrics and behemoth, propulsive rhythms that can only foreshadow the heft of 17-minute album closer "Spider of My Love" which brings the album to a fittingly massive and funereal close. Perfect. 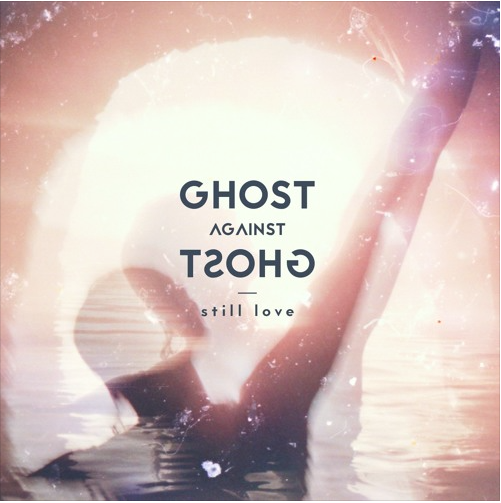 Woodstock, NY band Ghost Against Ghost's epic album still love is at last available on vinyl as a double disc gatefold set. 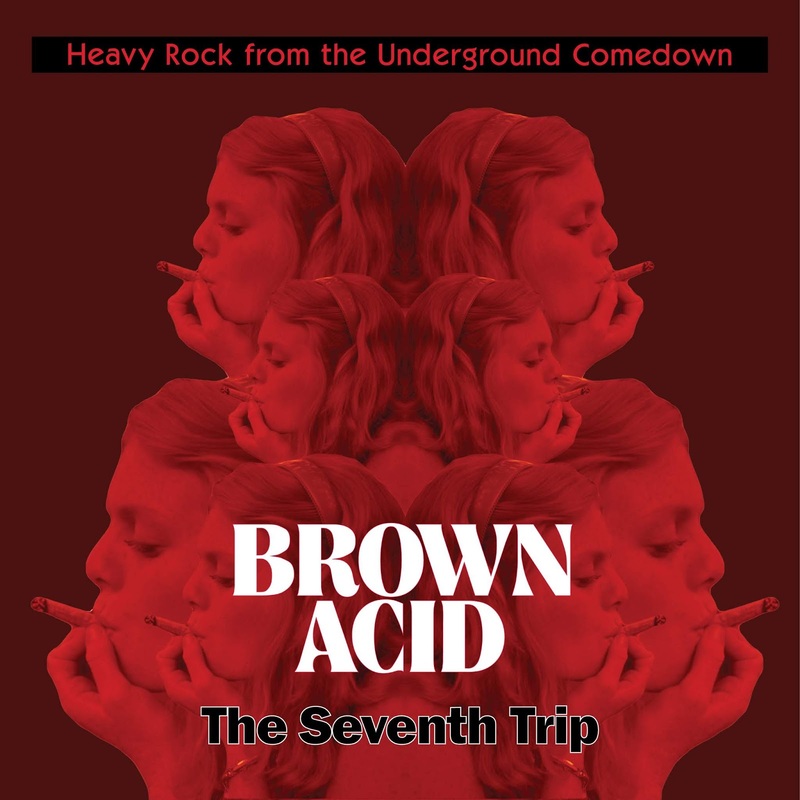 European deep-dive archival psychedelic music magazine It's Psychedelic Baby has profiled still love in its Vinyl of the Day feature HERE. The vinyl edition is available to order via Our Silent Canvas. Reviews widely praised the epic album's musical and emotional complexity upon its release. The Obelisk's insightful album review highlights the full length's "stylistic ambition and melodic depth," HERE. Arctic Drones takes an in-depth look at what it calls "a substantial work of art," HERE. UK print tome Prog Magazine deems it a "masterwork" HERE. Stereogum shared early single "Unarm" HERE while Tiny Mix Tapes showcases the track HERE. Metal Injection featured album track "Resume" HERE. This 65 minute LP weaves themes of love, heartbreak, and betrayal into monolithic synth-driven space-rock, with inspiration as diverse as Nine Inch Nails, Sigur Ros, Vangelis and Pink Floyd. 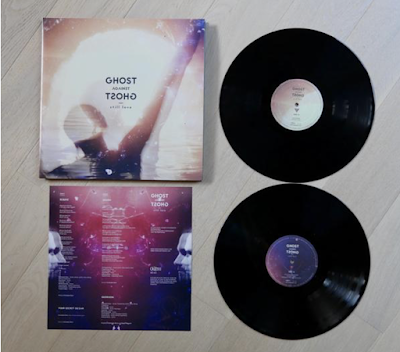 Ghost Against Ghost recently issued a new single, Todeserfahrung which showcases a different side of the project, pairing Christopher Bono with the Czech FILMHarmonic (Arcade Fire, Ridley Scott, Celine Dion, et al.) The track takes the group's sound in evermore grandiose directions, including ethereal vocals, ambient keyboards and effects all driven by a detailed and dynamic electronic drum arrangement. VICE's The Creator's Project also previously premiered the short film directed by Craig Murray (Mogwai, Converge) for the remix Ghost Against Ghost song "Checkpoint Charlie." Watch HERE.